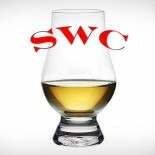 The Woodinville Whiskey Company seems to have made quite a name for themselves. 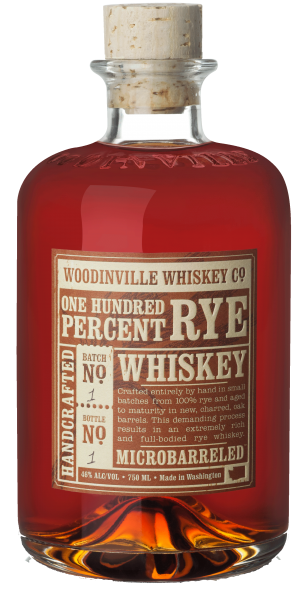 This Washington state distillery jumped onto the craft distilling scene with two solid offerings of a Bourbon and a 100% Rye. While they only distribute in Washington State, they seem quite poised for expanding their brand considerably. Our focus today is on their micro-barreled rye. Rye as long been a very special grain when it comes to American whiskey, both here in the states and north of the border in Canada. After Prohibition, rye fell away from the mainstream as a significant ingredient in distilled spirits. But, within the last few years, we are seeing its popularity rise once again with a number of 100% Rye whiskies on the shelf and showing up as a flavoring grain in many mainstream bourbons. Here is our take on Woodinville’s expression written for you, our dear readers, for your prosperity. Nose – Fruity! Sweet rye, spicy with pepper, tobacco, mint. Soft vanilla. Taste – Spicy heat, wonderful. A certain tang pervades. Finish – Medium long, spice. Licorice, tangy oakiness. Comment – Wonderful surprise from Woodinville. Rye is vibrant and pleasant, very interesting. Excited to see where this develops in the future. I love this stuff. probably the best rye I have ever had. Rich, spicy, tangy, great aftertaste.